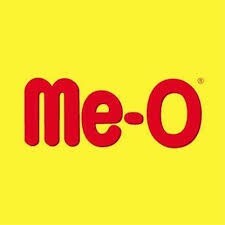 Meo Seafood Cat Food 1.2 Kg with best offers and discounts in India. The minimum purchase order quantity for the product is 2. A complete & nutritionally balanced cat food. The high digestion & good taste, the cats love the food. The cat food is formulated to meet the nutritional levels of the cat. Wholegrain Cereals, Chicken fat, Fish meal, Cassava, Fish digest, Iodized salt, Tuna by-product meal, Taurine, Antioxidants, Food coloring. Quantity: 1.1Kg For cats between the ages of 4 months - 10 months. Encourages healthy digestion. Promotes soft skin and glossy fur. Balanced nutrition for your cat. Type - Food Pack - 12 Life stage - Kitten Breed - All cat breeds Pack Type: Single Serve Pouches Optimal balance of vitamins and minerals. Promote of kittens growth. Preservative-free. Type: Wet Food Pack: 12 Breed: All cat breeds Pack Type: Single Serve Pouches. Appeals to the palate for the fussy eaters and gives a delight of relishing a juicy. The complete meal for adult cats with a salmon composition in form of gravy. Type: Wet Food. Pack: 12 Quantity: 85gms Pack Type: Single Serve Pouches. Specially formulated with the optimal balance of vitamins &amp; minerals. Help your cat to stay healthy &amp; happy. Suitable for adult cats of all breeds. Get 4 % OFF on this product. Click on extra offer Type - Food Quantity - 1.2kg Suitable for Persian Kitten up to 1 Year. Made from seafood. Avoid risk from bladder stone. Nourish skin &amp; coat. CLICK ON THE EXTRA OFFER AND GET 3 % OFF Type - Food Flavor - Mackerel Quantity - 1.3kg Suitable: Cat. Improves cat's eyesight. Boosts cat's immune system. Nourishes cat's skin and hair. Decreases risk of high blood pressure, kidney and heart disease in cats. Get 16% OFF on this product. Click on extra offer Quantity: 4 kg Age: For 2nd stage kittens up to 12months old. Contains certain healthy prebiotics such as mannan and digestible proteins that help to maintain the immunity by developing antibodies.